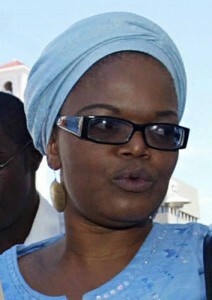 HUMAN rights lawyer Beatrice Mtetwa has filed an application in the Supreme Court seeking to be admitted as a friend of the court (amicus curiae) in an appeal in which the Judicial Service Commission (JSC) is contesting a devision by the High Court to stop the JSC from conducting interviews for the appointment of a new Chief Justice. In a notice of application for admission as â€˜a friend of the courtâ€™ filed on Tuesday 31 January 2017, Mtetwa, a senior member of ZLHR, wants the Supreme Court to issue an order appointing her as â€˜a friend of the courtâ€™ in a matter in which the JSC is appealing against High Court Judge Justice Charles Hungweâ€™s judgment that barred the JSC from conducting interviews that would lead to the appointment of a successor to Chief Justice Godfrey Chidyausiku, who retires at the end of February 2017. In her founding affidavit, Mtetwa argued that the application filed by Romeo Taombera Zibani, a University of Zimbabwe student, which was granted by Justice Hungwe last year, has a severe impact on constitutional democracy as it threatens the supremacy of the Constitution. She further argues that the application was faulty in several ways. Mtetwa said she is seeking to intervene in the appeal so that constitutional provisions are not suspended at a whim and not render the Constitution a worthless document that does not give the people of Zimbabwe the many protections its makers envisaged. Mtetwa has listed Zibani, President Robert Mugabe, Justice, Legal and Parliamentary Affairs Minister Emmerson Mnangagwa, Chief Justice Godfrey Chidyausiku, Deputy Chief Justice Luke Malaba, Justice Rita Makarau, Justice Paddington Garwe and Judge President George Chiweshe as respondents in the application. If admitted as a friend of the court, Mtetwa said she would be able to file her heads of argument on or before 6 February 2017 in time for the Supreme Court to preside over the hearing of the JSCâ€™s appeal, which is reportedly set for later this month.